Newly switch from Android phone to iPhone? 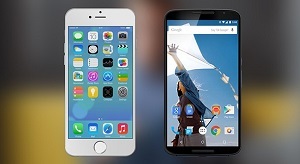 You must want to know how to transfer photos from Android to iPhone. 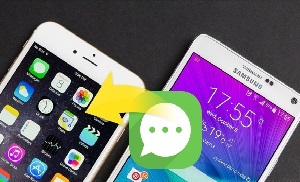 Just follow the guide to learn 3 ways to transfer pictures from Android to iPhone. Plan to get a fire-new iPhone 8 or iPhone X to replace the slow Android phone? As the new iOS is coming next month, many Android phone users are ready to buy an Apple iPhone and enjoy the new operating system – iOS 12. The first problem bumps to your head would be how to transfer data from an Android to your iPhone 6/6s/7/8/X, especially the precious photos and pictures in your Android phone. To help you get out of this awkward situation, we offer you 3 methods to transfer photos from Android to iPhone 6/6s/7/8/X. Now head to check the details. The iTunes way is workable, but not convenient. 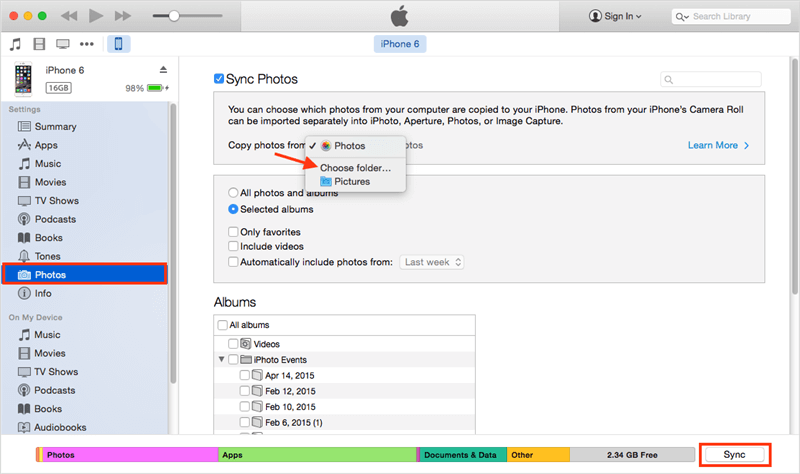 In addition, iTunes will erase the previous photos you synced to your iPhone. 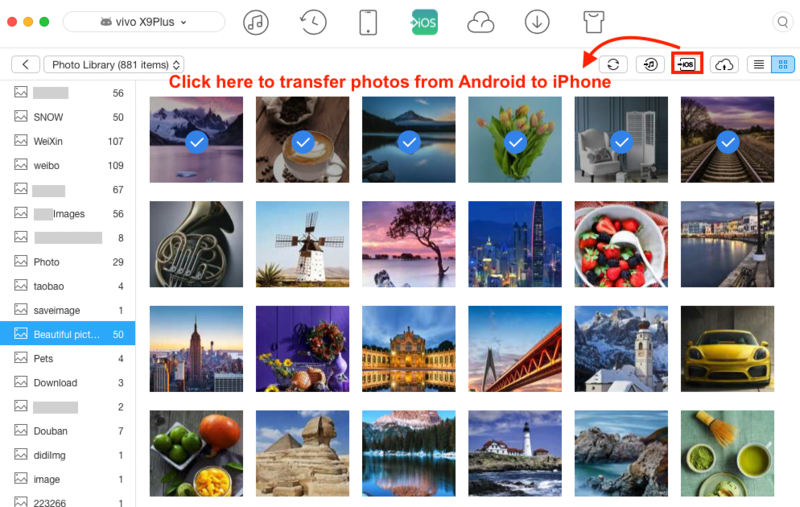 Move to Part 3 to get a direct & no data-loss way to transfer pictures from Android to iPhone6/6s/7/8/X. iTunes enables you to sync photos from your computer to iPhone. Firstly, you need to save photos from Android phone to computer. Here we take a Mac as the example. Step 1 Put your Android phone in Disk Drive mode, your phone will appear as a drive in My Computer or on your Mac desktop. Step 2Drag the photos you need to a folder in your computer. Open iTunes and connect your iPhone to the computer. Step 3Click the Device button > Click Photos > Sync Photos > Choose Folder… > Find the folder you have created on computer > Sync. Pay attention that when transferring photos from Android to iPhone with Move to iOS app, all your existing photos on your iPhone X/iPhone 8 (Plus) will be erased and replaced. And according to those who have tried the tool, it will take you a long time to complete the entire process. In addition, it is not stable and even fails to move photos, then lead to data loss. Head to Part 3 to try a reliable and secure way to transfer photo from Android to iPhone. 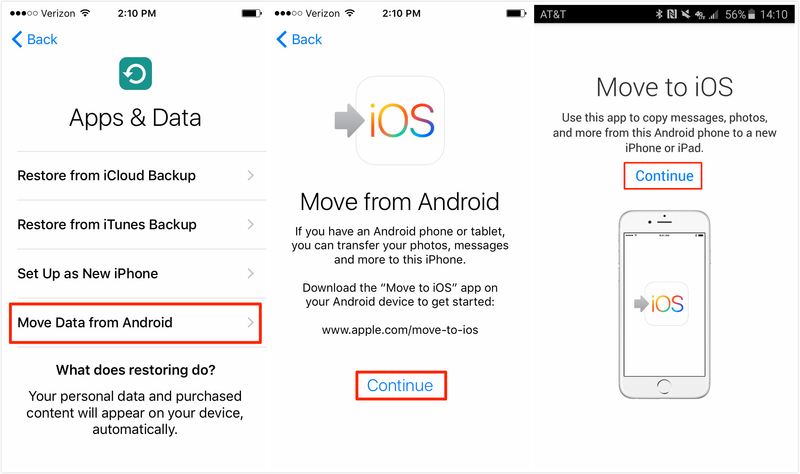 Move to iOS is the first Android app that Apple designed for Android users to move data from Android to iPhone. You can get it from Google Play Store. It has many restricted conditions. Let’s have a look at it first. Step 1 Set up iPhone X/iPhone 8 (Plus) to reach the App & Data screen > Tap Move Data from Android > Tap Continue to get the ten-digit or six-digit code. If you have finished the setup process, then you have to erase your iPhone X/iPhone 8 (Plus) and start over. Step 2 Download and open Move to iOS app on your Android phone > Tap Continue > Read the terms and conditions and tap Agree > Tap Next on the Find Your Code screen. Step 3 Enter the ten-digit or six-digit code on your Android phone > Choose photos and tap Next > After the process completes, tap Done on Android phone. 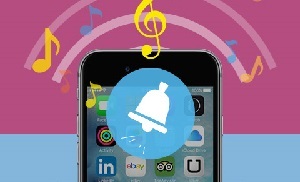 AnyTrans for iOS is a professional iOS data management and transfer tool. 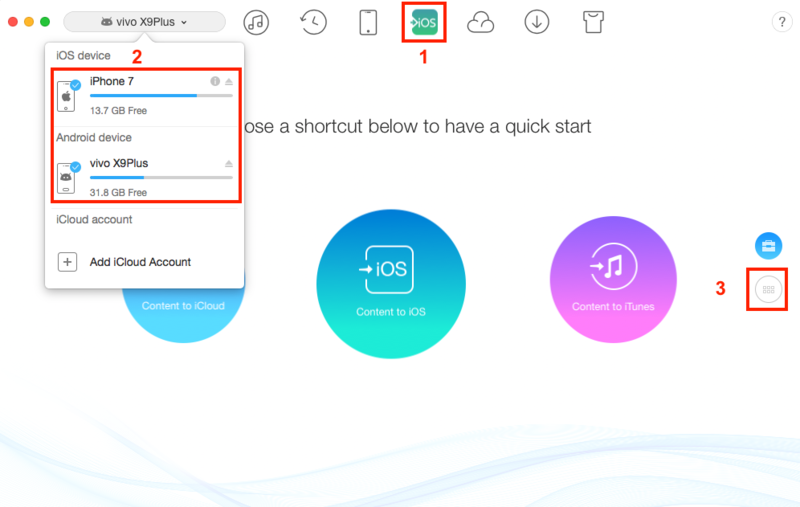 As a full-way Android & iPhone data transferring tool, it not only enables you to transfer kinds of iOS content among iTunes, iDevice and computer but also supports moving data from Android to iPhone directly. 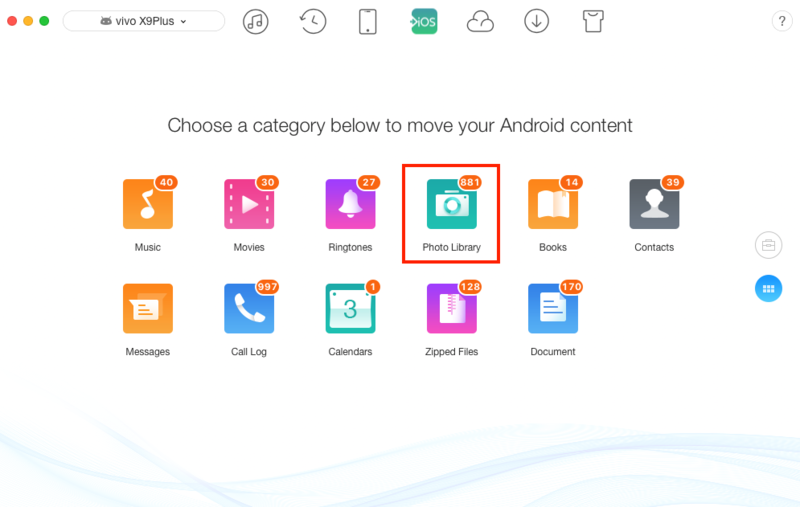 It can help you transfer all files from Android to iPhone or other iOS devices with 1 click, such as photos, contacts, music, videos, apps, messages, etc. 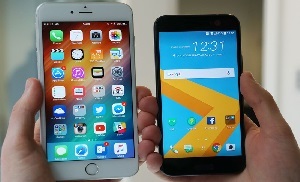 More importantly, the Android to iOS feature is completely for free. It supports all Android phones and all iPhones, iPads, and iPods. Now, let’s see how to use AnyTrans for iOS to transfer all photos from Android to iPhone with ease. Step 1Free Download AnyTrans for iOS on your computer and launch it. Click on the Move to iOS icon on the top and connect both your Android phone and iPhone to the computer. Then click button. Step 2On your Android phone, allow AnyTrans to detect your data. Then go select the Photo Library. Step 3Choose an album and select some photos. Then click on To iOS button to transfer selected photos to your iPhone right now. Step 4 After the transferring process, open your iPhone, you can see the album “Beautiful pictures” and the selected 6 photos already on your iPhone now. 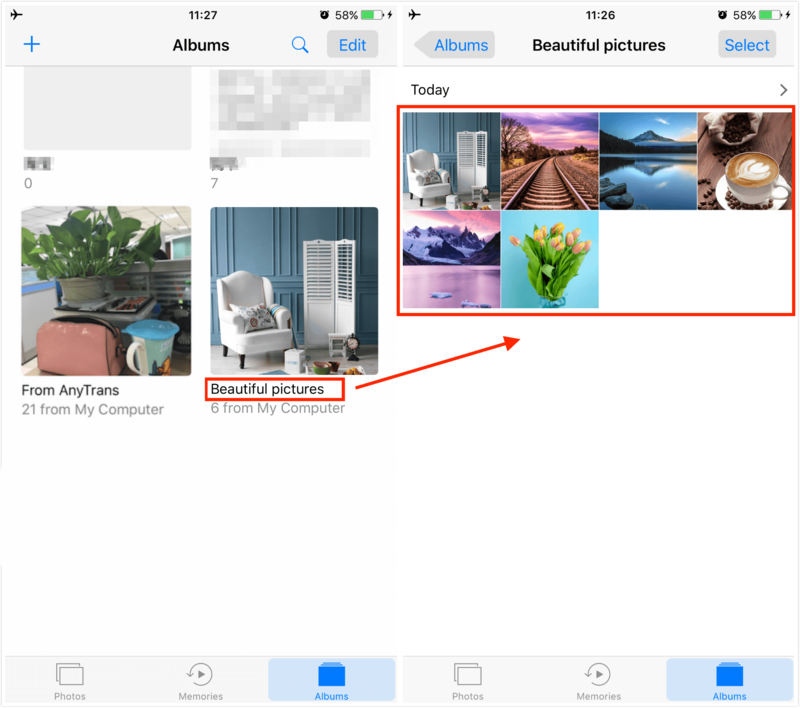 Both the album and selected photos will be transferred to your iPhone, if you want to transfer the whole album, you need to select all the photos of this album. That’s all for how to transfer photos from android to iPhone, hope this guide is helpful to you and you can transfer the needed data successfully after reading it. And if you have any problem, welcome to contact us or leave your comments below.